A completely new appearance puzzle.Its two Isoskeles tetrahedra one inside the other.The tetrahedra is the building block for almost all of my puzzles. You can see more info in my tools tips and technic.When its made out of two color woods like in the picture its clear. All pieces are dissimilar and non symmetrical.it has one solution.I don't think its difficult but ...it needs some effort to make it. 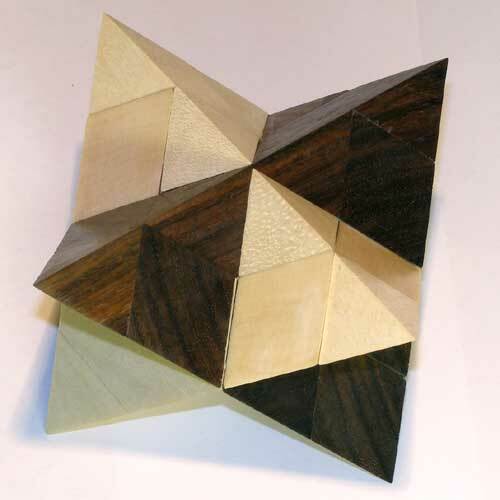 See more pics of the "Dual Tetrahedra" puzzle.or Back to puzzle index.